You should take from 21 up to 38 grams per day of fiber, based on your gender and age. According to the American Dietetic Association, men should keep their fiber intake between 30 and 38 grams per day. Women between 18-50 years old should take 25 grams, while women over 51 years of age should take up to 21 grams a day. There's also another way to look at this. You should take 14 grams of fiber for every 1,000 calories in your diet. This might help you calculate more closely how much fiber you need in your diet and reap numerous benefits from a high-fiber diet. We recommend taking one Skinny Piggy fiber supplement per day to start with. When your body adjusts to this dose then you can gradually increase it to 3 Skinny Piggy fiber supplements per day. Who Else Want to Lose Weight with These Yummy Gummy Fiber Supplements? Fed up with boring diet meals? Do you feel restricted with your food options? Having no fun AT ALL? You aren't alone. Let's be frank, most people don't enjoy diet plans. It's certainly not fun refraining from foods you love, and definitely not fun to work out when you'd rather lay down the armchair with a new episode of Desperate Housewives. The good news is, now you can help your diet with a new, natural appetite suppressing supplement, Skinny Piggies! 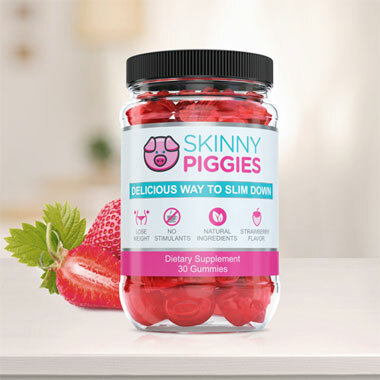 Skinny Piggies are good-tasting fruit supplement fiber gummies that help you avoid hunger and food cravings while helping your body to stay in fat-burning mode. In order to burn off more calories than you take in, you need to boost the exercise or reduce how much you eat. For faster results, the key is doing both. Skinny Piggies help you eat less and lower your caloric intake which makes achieving effective weight loss easier. Add in added daily exercise routine to help step up the weight loss process. If only fat loss was that easy! While cutting back on your daily calories sounds easy peasy, in practice your carbohydrate cravings will probably keep you thinking about a piece of cake day and night. And that's when Skinny Piggies can help! Skinny Piggies are fun, sweet healthy treats you won't need to feel guilty about! Enjoy the savory flavor of these gummy fiber supplements and let them do their work. Ok, exactly what are the gummy supplements good for? The science is surprisingly straightforward. Appetite is caused by 2 key ways: the number of calories you consume and the presence of food in your stomach. After a meal, your stomach expands from the food pressed up against the sides, which results in you feeling satisfied and you stop eating. Ok, so what now? Eat one Skinny Piggy about twenty minutes before your lunch with a 16-ounce glass of water. When the Skinny Piggy enters the stomach, it soaks up the water and turns into a mushy gel. The gel then takes up space and notifies your nervous system that you just ingested a good portion of food before you even began eating. After 30 minutes you are all set to feast upon your food! At that point, the gel has expanded and you are to some extent full which may help you eat a much smaller serving and still find yourself feeling full. 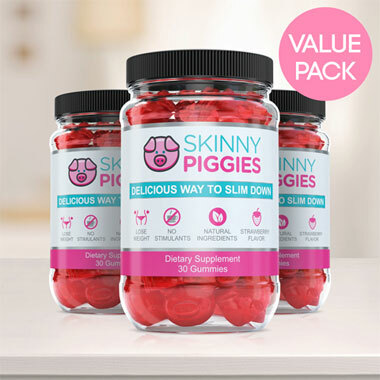 Eat a Skinny Piggy gummy and you'll eat less calories, reduce carb cravings and allow your body to be in fat-loss mode for longer while feeling full. This way you can combat desire to eat and food cravings, hunger, and keep your caloric intake down, all without being starving most of the time. The gel also allows your stomach to empty slower and that will make you full longer. The sooner you are full, the less likely you will remain to eat that allows you to eat much less calories. As the liquid gel coats the food, it slows down the absorption of carbohydrates and that flattens your level of glucose in the blood. By steering clear of spikes in the blood glucose level you avoid those pesky sugar cravings too. When you minimize blood sugar spikes by slowing down the absorption of carbs you are also preventing it from being stored as unwanted fat and that then causes your body to burn its stored fat. The slower the intake process the longer you remain in fat-loss mode. 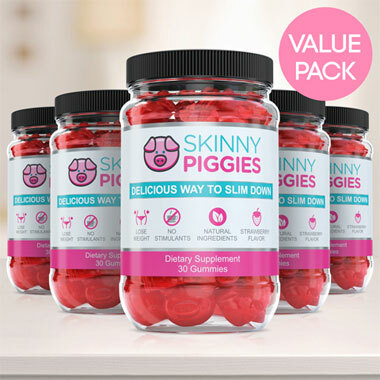 So you are wondering, what's different about Skinny Piggies versus the other weight loss pills sold in stores? Skinny Piggies have no artificial ingredients. Take one look at any weight-loss supplement and you'll find a whole line-up of chemicals. No Stimulants: Taking a dietary product without harsh stimulants and that's why you can take them even at bedtime, and the gentle formula means that the product is OK with sensitive GI track. Genuine Ingredients: Unlike most diet supplements, it's possible to pronounce every active ingredient in Skinny Piggy diet supplements, knowing that you're eating only high quality ingredients. Balanced Ingredients: In addition to helping you curb appetite, they will also support the growth of stronger nails and help your skin glowing. Yummy Taste: Very few dietary products actually taste good, and almost none of them have the taste of strawberries, and that means these gummies are a pre-meal treat you'll really enjoy. You will really love eating these so forgetting to take your supplements will not be a hurdle. They are easy to use and anybody can begin right away. 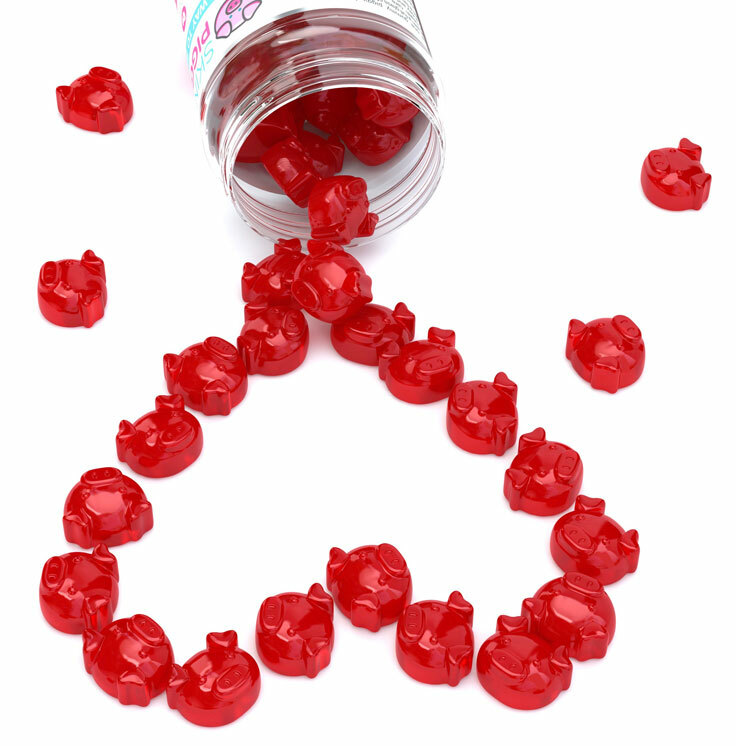 Try just one gummy and we're sure they will become a highlight of your day.